‘Free from faggots’ anti-gay banner unveiled at Legia Warsaw football match - Outsport - Play friendly. Play proud. 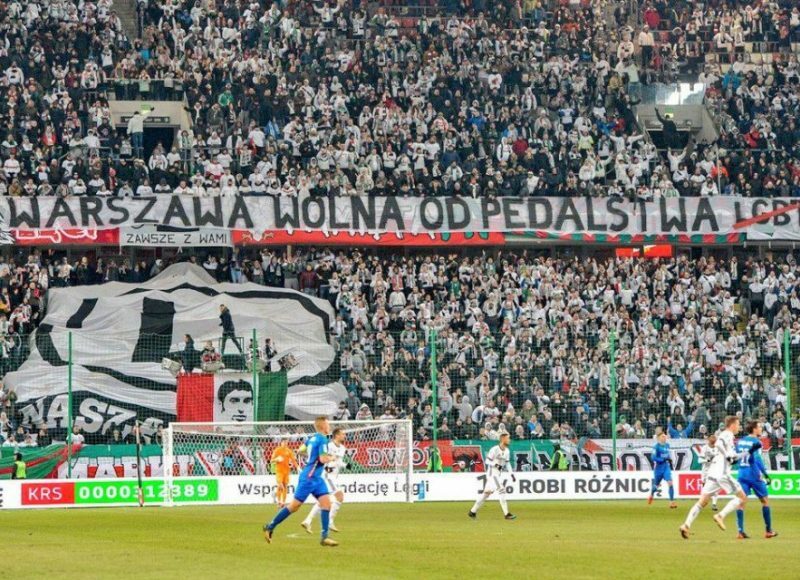 A banner displaying the phrase “Warsaw free from faggots” was on display at a Legia Warsaw football match in the Polish capital. The anti-gay banner was unfurled at a March 1 match between top-tier Polish football teams Legia Warsaw and Mied? Legnica. According to the Fare Network, which advocates for inclusivity in football, the banner was draped over the Legia fans’ stand during the match at Warsaw’s Polish Army Stadium. The message reads, “Warsaw free from faggots,” followed by the crossed-out “LGBT” acronym.